A senior marketer and General Manager with a proven track record for unlocking growth for branded businesses in Canada and International markets. Jennifer is a respected leader who has managed some of North America’s most iconic brands creating a legacy of disruptive advertising, innovation and branded consumer experiences that have delivered strong brand equity and sustained profitability. In June 2015, Jennifer moved to CIBC as the Vice President, Marketing Communications. In this role she brings her experience leading large scale campaigns and her strength in building strong marketing teams. She is responsible for brand strategy, marketing planning and the development and delivery of integrated marketing communications for the bank. Prior to this, Jennifer was General Manager of Six Pints Specialty Beer Company, the $50M craft beer division of Molson Coors Canada. At Six Pints, she built an entrepreneurial team that accelerated the brand marketing and innovation agenda positioning Six Pints as one of the fastest growing players in the Canadian craft beer segment. Jennifer also held roles as VP, Marketing, Molson and Coors brands and VP, Innovation for Molson Coors Canada. She also spent 2 ½ years in Denver where she was a leader in the start-up International division for Molson Coors. She was responsible for the global brand stewardship of Coors Light ensuring the brand launched consistently in China, Mexico and Europe. Her success in building Coors Light consistently across these global markets was recognized in 2010, when she was profiled as one of ten global marketers in the book, THE GLOBAL BRAND CEO. Jennifer started her marketing career at Unilever Canada where she managed a broad range of home and personal care brands. She is active in the marketing community in Canada. She was the Chair of the Judging Jury for the 2015 CASSIES Advertising Awards and was on the Board of Directors of the Association of Canadian Advertisers from 2012 to June 2015. Jennifer holds a Bachelor of Arts, Honours degree in Economics from Queen’s University and continues to be involved with Queen’s MBA as a guest lecturer. 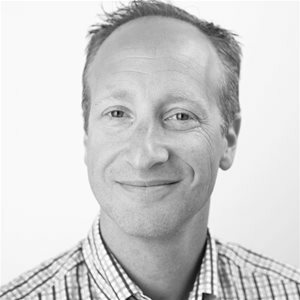 Mark has been with TAXI since January 2013, when he moved from the UK to join the agency as Head of Planning for the Toronto offices. In July of that year he was promoted to Chief Strategy Officer of the TAXI network – the first person to occupy that role. As such he is responsible for developing and leading the strategic thinking across the network’s six offices. Immediately before coming to TAXI, he was Head of Planning for the Leo Burnett Group in London, where he led a large and varied team of 38 planners and researchers ranging from first-job graduates to ex-marketing directors who between them provide a complete range of planning services to the six companies that make up the group. When he took the role in 2010, his ambition was simple: to make them the best planning team in London. In the prestigious biennial 2012 IPA Advertising Effectiveness Awards, the team won two of the coveted gold awards – an unprecedented level of success for the agency in the more than 30-year history of the competition. During a varied career, Mark has worked widely in and around the communications industry in many different environments, from small start-ups to large network shops, from a boutique research consultancy to a digital advertising agency. On the way, he has garnered extensive experience of working with a great variety of client organisations, both large or small, as well as public, private and third sector. The common thread – if indeed there is one – is his love of solving problems in interesting and sometimes unconventional ways. Cursed with a brain that loves puzzling things through (and never quite seems to sleep), it was small wonder that he eventually found his natural home in planning. Mark also has a keen entrepreneurial side to his character, as shown by the fact that he has been involved in creating two agencies from the ground up. This taught him the profoundest respect for anybody who starts their own business – as well as many entirely unforeseen skills in the areas of photocopier repair and IT systems. Mark has a first degree from Cambridge and an MBA from the Open University. He is proud to be a Certified Member of the Market Research Society and in March 2014 was delighted to become the first Chair of the Account Planning Group of Canada. With close to 20 years of experience, originally beginning in pure-play digital, Jay is known for pushing himself, his team and his clients to look at the world differently, to question everything and to seek new ways for brand and audiences to connect. He seeks to break the “rules” of advertising and create an entirely new level of value for brands and consumers. This approach has led to many noteworthy campaigns that have been recognized on a global level and have contributed to significant business gains for clients. It has also led to the creation to one of the most versatile Strategy teams in the industry, which currently services General Mills brands, McDonald’s, Telus, Sick Kids, Intact Insurance, Canadian Olympic Committee, and Habitat For Humanity amongst many others. Jay has previously worked with lg2, Tribal/DDB, Critical Mass, and Blast Radius. Dino has been a catalyst at the forefront of media, creative and cultural change, first in the music industry, then in the emerging global digital media space, and, most recently, in marketing and advertising, where he is recognized as one of Canada’s top strategic planners. 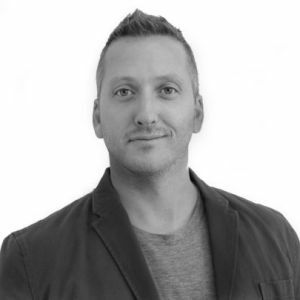 Prior to joining DDB Canada, Dino held senior positions in both media and creative agencies, and has worked as both a digital and traditional brand planner. 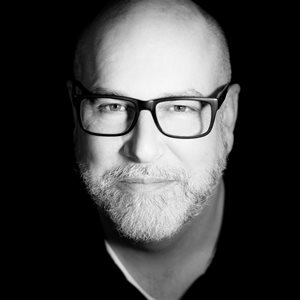 Over the course of his career, he has gained experience across virtually every category, and has brought a rare blend of brand planning, engagement planning, digital strategy and creative inspiration to clients including General Motors, Quaker, Pepsi, Shaw, Swiss Chalet, Sears, Hewlett Packard and Ford. With his wealth of experience, Dino brings a unique hybrid planning approach to lead DDB Canada’s integrated planning department in Toronto, overseeing a team of strategists to develop ideas with strong consumer engagement across all mediums and channels for clients including Canadian Tire, Volkswagen, McDonald’s, Tylenol, Band-Aid and others. His work has been the recipient of numerous industry awards, most notably a Cannes Gold Lion for Tropicana’s Arctic Sun. Dino is a veteran globe-trotting DJ, music producer and remixer, and a tirelessly devoted father of boy/girl twins. Ritchie has over 24 years of experience in advertising, working and consulting at leading agencies such as Fallon Minneapolis, Juniper Park, Publicis and Zulu Alpha Kilo. Throughout his career Ritchie has provided the conditions for building great creative—establishing good relationships, developing agency positioning, designing processes, creating internship programs, teaching, writing articles, and inspiring clients. As one of Canada’s top strategic minds, he has won numerous planning awards—ARF David Ogilvy, AAAA Jay Chiat—and industry awards—EFFIEs, Cassies. Ritchie has worked on a wide variety of brands in the United States and Canada, including: CitiBank, Dyson, Frito-Lay, The New York Stock Exchange, Corona and Coca-Cola. Ritchie holds an MA in Advertising from Syracuse University and is a Board Member of the Account Planning Group of Canada. 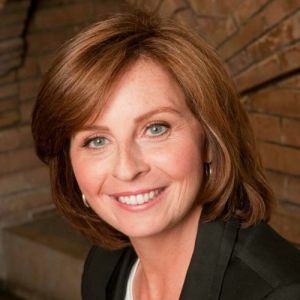 Susan Irving is the Senior Director of Marketing for the Frito-Lay Portfolio at PepsiCo Foods Canada. 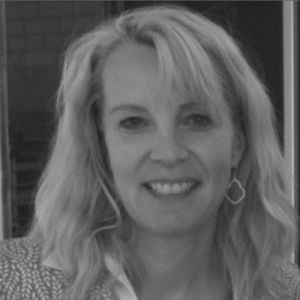 Susan has been with PepsiCo Canada for over 10 years in increasingly senior roles and has worked on several of the Company’s iconic brands. In her current role, Susan leads a team of passionate Marketers who create successful and memorable campaigns, and drive profitable growth, for brands like Doritos, Tostitos, Cheetos, Ruffles and Lay’s. Susan’s 17-plus years of business experience spans across all aspects of consumer marketing including brand strategy; advertising and communications; P&L management; cross functional team leadership; media planning: digital; social media; innovation; public and corporate communications; sports and event marketing and consumer insights. 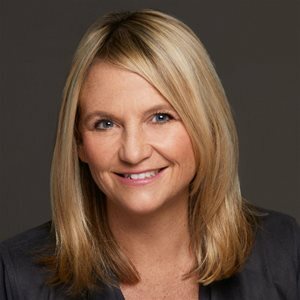 Susan is known for her collaborative approach of working with teams to deliver breakthrough, insight-driven consumer campaigns and programs that deliver growth. 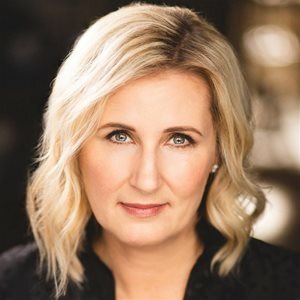 As an accomplished Marketer, Susan has been recognized with several industry accolades including CMAs, Cassies, Cannes Lions, The Bessies, Media Innovation Awards and Canadian New Media Awards. She was also among Marketing Magazine’s prestigious Top 30 under 30. An avid sailor, Susan was a member of the Canadian Sailing Team, having campaigned for the 1992 and 1996 Summer Olympics. She holds a board position with the Leaside Hockey Association; a judge for the Globe and Mail’s Young Marketers Competition and the CMAs; a key note speaker for several North American Conferences and is an active supporter of TenThousandCoffees.com – a program dedicated to connecting today’s experts with tomorrow’s trail blazers. When Susan takes a break from Marketing, you can find her on a sail boat or a ski hill. As a busy mother of two young boys, you’ll also find her and her husband, Todd, in hockey rinks, at road races and on the soccer field supporting their family’s passion of competitive sport. 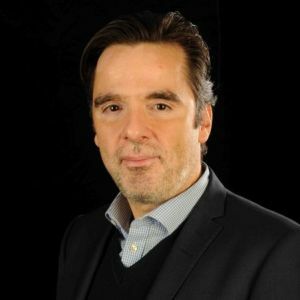 A passionate and eloquent marketer, Ricardo (“Dickie”) Martin, has led teams for Unilever across Latin America, Eastern Europe, London and New York. 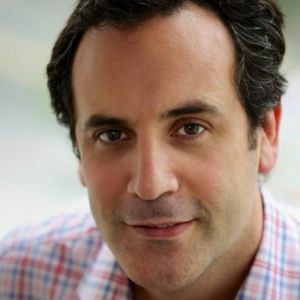 He brings a world of award-winning experience to his current position as Vice President, Brand Building, Unilever Canada. A native of Argentina, he has helped architect market development models around the globe that have paved the way for the introduction and growth of multiple brands into #1 positions in multiple countries. He is an innovator at heart, who also knows when it’s best to adapt the best practices from other markets to work locally. His education includes a Master of Business Administration (The London School of Economics and Political Science/New York University/HEC Paris) and a Bachelor's degree in Business Administration and Management (UCA - Buenos Aires, Argentina). After completing the International MBA program at Schulich with a specialty in Russia and Eastern Europe, Malcolm worked for several years in Germany before returning to Canada to accept a position with Unilever. Motivated by his interest in insight, perception, and the behaviour of brands, he made the decision to focus on strategic planning and decided to cross over to the Agency side of the business. After making contributions at some of Canada’s leading agencies, including BBDO, Cossette, Lowe Roche, TBWA, and Grey Canada, he joined Cundari to invigorate and innovate Cundari’s strategic offering. During his career, Malcolm has been engaged as the strategic lead for Canada on some of the world’s most famous brands, including Absolut, Apple, Diageo, GSK, Guinness, HSBC, Mars, and P&G, and has led strategic initiatives across North America and in Europe including a new country brand strategy he recently presented to the President of Armenia. Malcolm has developed and introduced a new proprietary planning methodology for Cundari, and is presently providing strategic oversight on all of Cundari’s Clients including BMW Canada, Meridian, Jamieson, Canada Bread, and Maple Lead Foods. 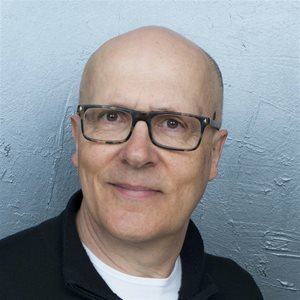 He’s had the privilege to work with a variety of not-for-profit organizations including CBCF, the Salvation Army, Special Olympics, Moms Demand Action for Gun Control in America, and notably the Missing Children’s Society of Canada, which has won numerous awards including several Lions at Cannes and the Grand Prix at the 2014 Cassies. Malcolm speaks four languages, is a proud Maritimer, a slave to his dogs, and has never met a sommelier he didn’t like. Brent in his own words is powered by “culture and caffeine.” Under his strategic leadership, love for instigation and inspiration, Leo Burnett Toronto has been recognized globally and nationally, winning at virtually every strategy and creative awards show. His contributions have received numerous recognitions: Effies, Ogilvy’s, Chiats, Cassies, London International Advertising Awards, Media Innovation Awards, Facebook Awards, ADCs and Cannes to name a few. 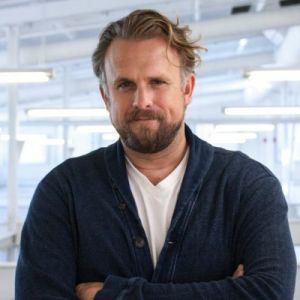 Prior to joining Leo Burnett Canada, Brent held the position of SVP Planning Director at DDB Chicago and SVP Planning Director at McCann Erickson World Group in New York. How Brent works with people, approaches problem solving and thinks creativity was learned through years of training and toil as classical symphony musician. Widely regarded as an innovator, corporate strategist, and pioneer at fusing digital innovations with earned media Mia Pearson has more than 20 years’ experience in PR, social media and brand strategy. A serial entrepreneur Mia is known for growing some of Canada’s most successful agencies. Mia co-founded her first company, High Road Communications in 1996 at the age of 29, later selling it to Omnicom, as part of the company’s North American growth strategy. In 2011, she left to co-found her second company, North Strategic, on the belief that the best brands integrate social into everything they do. Today, North is Canada’s fastest growing social and public relations agency with more than 65 employees across offices in Toronto, Montreal, and Calgary. In 2013, she went on to co-found a third company, Notch Video, the first video content community and online marketplace in the country. Notch has more than 800 content creators in cities across Canada. In 2015, Mia was inducted into the Hall of Fame of Canada’s Top 100 Most Powerful Women, having won the award in four categories and named RBC’s Female Entrepreneur of the Year in the start-up category. North was recognized as one of the 2015 Top Marketers in Canada by Marketing Magazine, PR Agency of the Year for Strategy Magazine, and 2014 Small Business of the Year by AIR MILES® For Business. Mia is passionate about advancing the careers of women in business and is a regular speaker at industry events and Rotman School of Business on the importance of personal branding for female executives. She is a regular contributor to the small business section of the Globe and Mail as the social and earned media columnist. Mia is a graduate of Queen’s University and was awarded a Honourary Degree in Communications from Humber College for her work in the public relations industry. She sits on the Board of Directors of Enactus. A mother of two, she is an avid snowboarder and loves spending time at her cottage on Georgian Bay. Heidi joined Zulu Alpha Kilo in 2015 as their first Chief Strategy Officer. She brings a strong reputation and track record, both locally and internationally. Over her 20+ year career, she has helped client after client build their business through brand transformation. Most recently she was a core member of the global Always #likeagirl program resulting in unprecedented social impact (close to 100 million views in over 150 countries) with recognition from the United Nations and an Emmy to its name. Another career highlight to date has been the strategic leadership behind the transformative brand extension and business growth for the Gain megabrand in North America. Heidi has worked in food and beverage, sports and entertainment, packaged goods, health and wellness, and financial services to name a few. Key areas of focus for Heidi include consumer understanding and research, brand strategy and architecture, communication strategy & planning, and organizational change. Mark Smyka is Director of Communication for Cossette with responsibility for the agency’s external and internal communications. 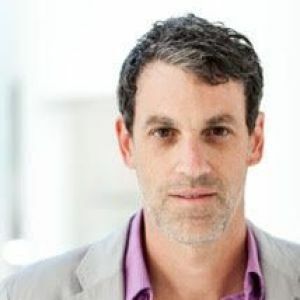 Mark is a communications specialist and an authority on the marketing communications industry, having covered the marketing, advertising and film and television production industries as a journalist prior to joining Cossette. In 1986, after stints as a daily newspaper and trade journalist, Mark co-founded Brunico Communications. While at Brunico, Mark was intimately involved in the launch of: Playback, Canada’s film and TV production magazine; Strategy, a marketing trade publication; KidScreen, an international trade publication covering the youth market; and Boards magazine, another international trade publication devoted to TV commercial production. At the age of 29, Randy was named Creative Director of Canada’s top creative agency -Palmer Jarvis DDB, Vancouver. There he led the agency to a then unprecedented three-peat as Strategy Magazine's “Agency of the Year”. In 2002, Randy joined Grip Limited as a Partner where he helped Grip win Marketing Magazine’s “Agency of the Year” after less than three years in existence – another unprecedented feat. Most recently, Randy was behind the first ever feature film created by a brand - Kokanee’s “The Movie Out Here”, which has been recognized internationally as a groundbreaking piece of branded content and described by Marketing magazine as “one of the most audacious marketing campaigns in Canadian history”. In 2014, he had the honour of judging the “Branded Content and Entertainment” category for the Cannes Lions Festival of Creativity. His work has been recognized by every major awards show including Cannes, One Show, D&AD and Communication Arts. Randy has had the privilege of working on iconic brands such as Honda, Kokanee, McDonald's, Pizza Hut, Bell Canada, and KFC. Ann is President of Maxus Canada, Canada’s fastest growing media agency, for 3yrs running, which she launched in 2012 for GroupM. Maxus represents some of Canada’s strongest brands and Ann has built it to an agency of 80 people with offices in Toronto and Montreal. 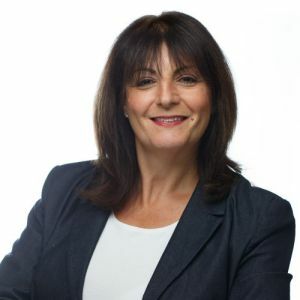 Ann is known as an innovative and engaged leader with 25 years of diverse media experience ranging from operations, strategic planning, buying and even selling of media. She has been in the GroupM family for over 10 years previously running Excelerator Media, as GM Managing Director. Before GroupM Ann was a partner in the Brainstorm Group, a full service communication agency, and previously spent 4 years selling OOH advertising. Ann is a graduate of Humber College in Marketing, a graduate of the 4 year CAPP program and she serves on the board of the Canadian Media Directors Council. She is an active member of IAB, RCC and a former board member of NADbank. 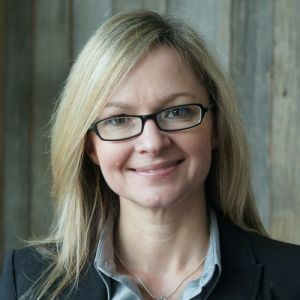 As VP/Head of Meal Solutions at Kraft Heinz Canada, Samantha is lead on a broad portfolio of brands including Kraft Dinner, Classico, and Heinz Beans where she has a team tasked with driving brand strategy and execution. 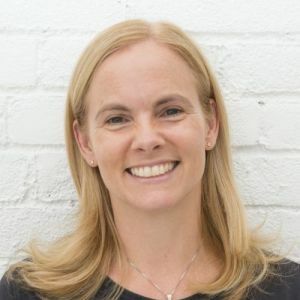 Prior to this, Samantha led Innovation where she was focused on leading strategic market opportunity assessments, providing thought leadership on growth areas for existing businesses, and ensuring the business has a healthy new product pipeline. Earlier roles at Kraft Canada included various brand management assignments where she delivered strong business results on some of Canadian consumer’s favourite food brands including Philadelphia Cream Cheese, Kraft Singles, Cheez Whiz, and Jell-O. Samantha holds an MBA from the Schulich School of Business well as an Honour’s Bachelor of Business Administration from Wilfrid Laurier University. Maxine thrives on the combination of a tough strategic challenge and a blank piece of paper. She has experience across many sectors, including retail, telecommunications, insurance, packaged goods, beverage alcohol, healthcare, financial services and academic institutions, to name a few. She has led strategic efforts on behalf of some of Canada’s largest corporations and brands, including Molson, Canadian Tire, TELUS, WestJet, McCain and Viagra.